This gin-turned-vodka-turned-gin-and-lime cocktail has slipped 14 places since last year. 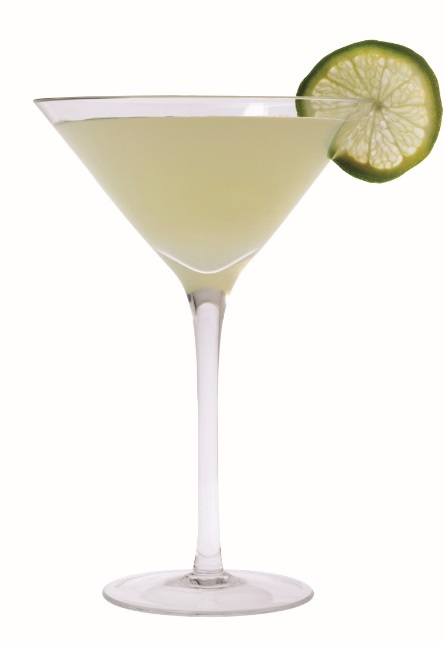 In a sense this is a Daiquiri for gin drinkers and three of our polled bars said it was their most-made classic. It’s essentially gin and juice but somehow has credibility beyond its ingredients. The ratio was originally 50/50, but that was when people didn’t care much for their teeth. Now a 75/25 gin-to-lime cordial is what the dentist ordered. When champagne isn’t quite enough, you have the Champagne Cocktail, a decadent embellishment on the finest fizz around – and up from 46th last year. To be broadly, though not wholly, accurate, the French add cognac and the Americans don’t. Both daub a sugar cube with bitters before pouring over champagne, though Jim Meehan of PDT recommends that the sugar cube should be added second so the champagne doesn’t get rowdy. Made popular in Paris in the ’20s, the French 75 retains its charm. Up two places in our top 50 list this year, 11% of bars said it’s among their 10 most-made classics. Indeed, like last year, in two of the world’s top bars, this London Dry gin, lemon juice, sugar and champagne drink is their number one classic. At Arnaud’s – home of the drink in New Orleans – the French 75 is made with Courvoisier VS, sugar, lemon juice and Moët & Chandon champagne. Losing a lot of altitude in the list this year – 10 places – is the Aviation. Essentially a refined Tom Collins with some maraschino, this is a top-10 seller in about 11% of polled bars. The recipe first appeared in Hugo Ensslin’s 1916 Recipes for Mixed Drinks, where crème de violette provided an extra floral dimension. There is a softening of the mood towards the Cosmo. Bartenders are past their hate phase and now residing somewhere around indifference. This year the Cosmo rings through the tills as a top-10 classic at 13% of bars polled. You won’t find too many menus sporting its name, therefore you might not know the ingredients: vodka, triple sec, cranberry juice and lime juice. Individually fine, together a Cosmo. The Tom Collins is quenching thirsts in about 12% of the bars we polled. Traditionalists reckon Old Tom, rather than London Dry, is the spirit to use here, but most will hit the speed rail gins. This is a drink that has procreated – now the family includes the Pedro Collins (rum), Pepito Collins (tequila), Colonel Collins (bourbon) and Captain Collins (Canadian whisky). Whatever spirit you use, the hero here is the humble lemon. Get good ones. This is the highest-ranked brandy-only classic in our list – and we’re almost halfway through. Brandy and cognac aren’t having a great time of it among the world’s top influencers (the category sits eighth among the most used spirits in our poll) so it makes sense that the most famous brandy drinks are languishing in mid table. In the good news column is that the Sidecar is up from 36 last year. This brandy, triple sec and lemon drink is essentially a sour but can be sweetened to taste. It has Parisian roots but the original creator has never come forward – or at least not in the singular. A great name but the Blood & Sand is not to everyone’s taste. It was first made in 1922 and was inspired by the eponymous film. Fast forward 96 years and it’s still going strong, re-entering the list after a two-year absence – with a cluster of top bars telling us it is among their top 10 best-selling classics. Mixed with scotch, cherry brandy (the blood), sweet vermouth, and orange juice (the sand) this drink is possibly a little sweet for more discerning palates. Rising 19 places, the Amaretto Sour has long been due a comeback which has never quite materialised. Could it be? Well 18% of those polled said it was among their top 10. Mostly part of the back catalogue, say our respondents, but one brave bar even had it as its best seller. The almondy Amaretto Sour is as approachable a cocktail as you are likely to find, and a comeback would be stellar news for Disaronno. While bartenders tend to prefer their Martinis with gin, Vodka Martini (aka Kangaroo and Vodkatini) is up 17 places, reinforcing the theory that vodka is now off the naughty step. If you’re a real vodka enthusiast, this is the best way to partake of your poison – there is only vermouth as a buffer. Weakling vodkas don’t work here – you’ll need one with muscle as, in the glass, it’s almost naked.